Truck companies are making constant announcements about new electric and automated vehicles under development, but neither are likely to take root until the early 2020s, according to a new report on trucking megatrends from Wards Intelligence. 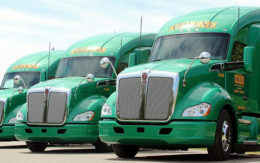 While electrification is already starting with medium-duty trucks powered with batteries, “long haul will probably be the last to see electrification because they’ll probably need fuel cells to get the range they need, and those are still in development,” said Megatrends 2019 Trucking author, Jim Mele. But long-haul trucks need to go triple the distance and also need to be refueled en route. “The big unknown here is infrastructure for refueling,” Mele said, which will further delay electric truck adoption. IHS Markit says sales of electric medium- and heavy-duty trucks will remain at less than half a percent this year. “Where we see it going in the next five years, it won’t be earth-shattering,” said Matt Trentacosta, senior consultant with IHS Markit. IHS forecasts sales for electric medium- and heavy-duty trucks will remain at less than 4 percent until 2025. Part of the slow adoption rate is due to a lack of available vehicles. Freightliner is still in the pilot phase of testing for its medium-duty battery-electric eM2. Currently being tested in partnership with Penske Truck Leasing, the eM2 won’t go into production until 2021. And while Nikola Motor and Tesla are both taking orders for battery-electric Class 8 electric trucks, they are yet to make a commercial delivery, Trentacosta said. Toyota’s partnership with Kenworth on fuel-cell freight trucks is in the early stages, with 10 trucks being tested over the next two years at the Ports of Long Beach and Los Angeles. A production year has yet to be announced. About 300 of the 123,000 trucks UPS operates nationwide are battery electric vehicles, most of them conversions from trucks that used internal combustion engines. 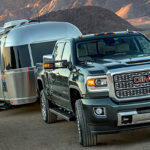 Their small fleet of plug-in box trucks operate in densely populated areas where a lot of packages need to be delivered within a relatively small mileage range. “The best application is shorter miles, pickup and delivery,” Phillippi said. Right now that means trucks with 60-mile routes or less, but the goal is to cover at least 100 miles, Phillippi said. He expects those longer-range trucks to be available in about a year. “As battery technology prices and energy density continue to get better, the application for electric vehicles will continue to expand,” he said. The most common electronic safety systems currently used on trucks are forward video monitoring, electronic stability control, smart cruise control and lane departure warnings, according to the Wards Intelligence Megatrends report. While these semi-autonomous features serve the dual purpose of increasing safety and also attracting younger, more tech-savvy drivers to the profession, fully autonomous trucks are so far into the future “I don’t think I even put a date on it,” said Megatrends author, Jim Mele. Electrification and automation each have their hurdles, but the trucking sector is better positioned than the passenger vehicle sector to absorb the costs involved and strategically work around the limitations that electric power and autonomous operation entail, according to the Megatrends trucking report. That’s largely due to a strong economy and increasing demand for trucking services that’s creating robust demand for medium-and heavy-duty vehicles. ACT Research estimates North American freight will grow 2.5 percent this year; North American truck production is also expected to peak in 2019, at 335,000 units for Class 8 trucks and 269,000 for medium-duty. In a Trucks.com interview, Nikola Motor Chief Executive Trevor Milton explains the strategy behind the Nikola One hydrogen fuel cell electric semi-truck.